And one that calls for a broader answer, since a court decision can go through as many as four different phases and each phase has a different name — and might be cited a little differently. 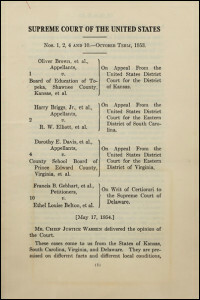 In some cases, an opinion from a court can be announced in a form known as a bench opinion. Other courts may use the term bench opinion to refer to a decision announced orally by the judge or judges in the case. More usually, however, other courts begin the decisional process with a written document called a slip opinion. The second step in the opinion process for the U.S. Supreme Court and the first step for most courts is called a slip opinion. 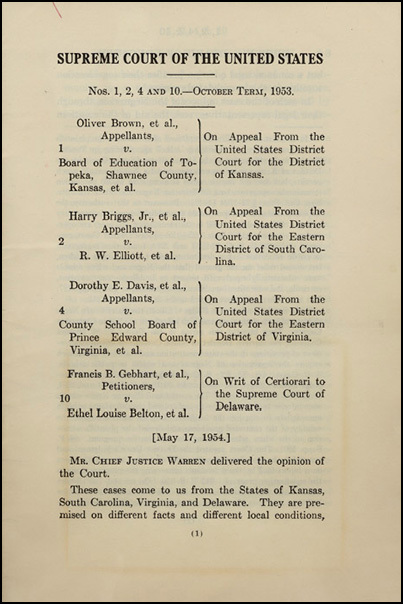 The next step is the publication of what are called advance sheets by most courts or preliminary prints by the U.S. Supreme Court. 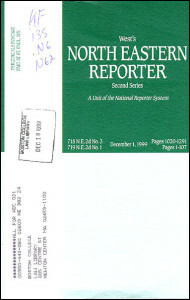 The image you see here, for example, is the cover of an advance sheet from the regional Northeastern Reporter, a collection of state court cases from courts in Illinois, Indiana, Massachusetts, New York and Ohio published by the West Publishing Company. It’s at this stage — when these pamphlets are published — that a case gets the actual citation it will eventually have in the final print version of the official volume of reports for that jurisdiction or the unofficial reporter like the regional Northeastern Reporter. Up until this point, a case can only be cited by its name, its case number, the court and date of decision and the kind of opinion you’re looking at — such as Authors Guild et al. v. Google, Inc., No. 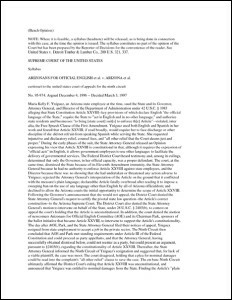 12-3200-cv, U.S. Court of Appeals for the Second Circuit, slip opinion, 1 July 2013. 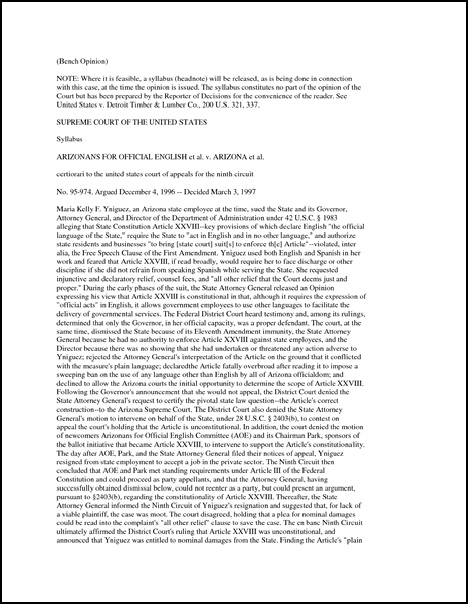 In the pamphlet form, it will get the citation it will be known as permanently, such as the trial court opinion in that case, Authors Guild et al. v. Google, Inc., 282 F.R.D. 384 (S.D.N.Y. 2012). The final step is the publication of the bound volumes of the reporters. “Cases appearing in advance sheets are subsequently published in bound volumes containing several past pamphlets, usually with the same volume and page numbers as appeared in the advance sheets.”12 Those are the books you see on all the library shelves. The same is true for every court and every set of bound volumes: there may be differences between the wording that was first announced and the wording that appears in the final bound version — and the bound version always controls. Judy, at the end of the chain, might you add the legal digests that law offices subscribe to? Or at least they do in Canada. I’m unsure if it’s the same in the U.S. My daughter-the-lawyer is employed at this by a publishing company. As reference works to the law, clearly the digests are derivative material but I’m curious whether lawyers are known to use them as the first “go to” for legal decisions. More education about the law! Certainly I did not know these 4 versions of court opinions. Well, I guess I knew the bound volume version, because I once taught “persuasive writing,” including legal briefs, with my best friend who was a lawyer. (She once argued before the Supreme Court.) We had to look up opinions. But slip opinion or advance sheets — that I’ve never heard of. Here’s an instance where offline trumps online material, I suppose. Thanks! Judy, although I’m reading this in August, the information you have provided is quite helpful. Your post raised three more questions. First, how is it that the Northeastern Reporter covering Illinois, Indiana, Massachusetts, New York and Ohio is considered regional? Second, except for light editing and the addition of numbering information beyond the case name, I would think that tampering with the actual opinion is a hanging offense and never happens. True? Third, this takes us through distribution of state and federal court decisions. 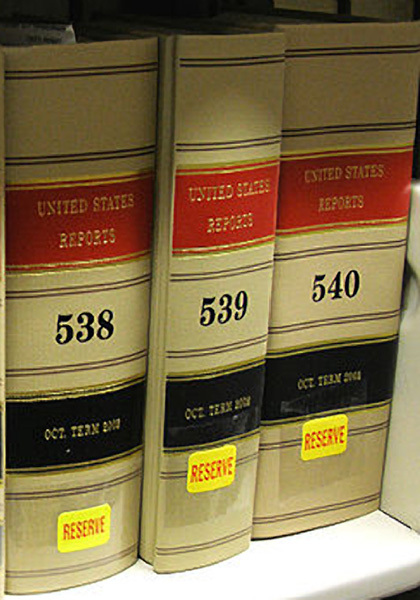 What about federal or state appeals court decisions? I would assume the process is the same, but I would like to know for sure. Thank you. 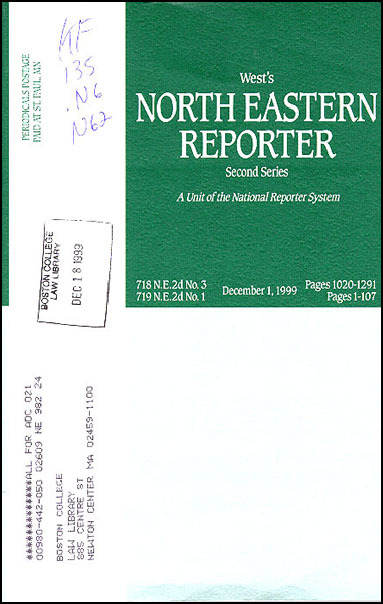 (1) The publisher of the Northeastern Reporter, West Publishing Co. (now owned by ThomsonReuters), is the publisher of a whole series of what are called Regional Reporters, including Pacific, Northwestern, Southwester, Northeastern, Southern, Southeastern and Atlantic. You can see a map of the entire reporter system here — and no, I don’t really know why the area included in the Northeastern Reporter is non-contiguous unlike all the other reporters. (2) Never say never. People make mistakes all the time, which is why we’re all told to go to the source. (3) Actually, this does discuss one federal appeals court — the US Supreme Court — but yes, the system is exactly the same for appellate courts: slip opinion to advanced sheet to bound volumes. Only the names of the official reporters will change.